In this week’s celebration of Women’s History Month, we remember the contributions of two people, one of the most popular American authors of the last century and an obstetrician who went from abortion provider to pro-life activist. Cat Clark’s article recalls the life of Pulitzer and Nobel Prize-winning author Pearl S. Buck, perhaps best known for her novel, The Good Earth, but less well known for her pro-life stance. So we also offer Pearl Buck’s own essay, “Every Life is a Gift,” which was published as the forward to Robert E. Cooke’s 1968 book, Terrible Choice: The Abortion Dilemma. In her own day, Buck, the mother of a child with special needs, answered challenging questions still posed to us today: Is it better for a child with special needs never to have been born at all? When is it permissible to end a life? I also ask that we take time to remember a former abortion provider turned pro-life activist, Dr. Bernard Nathanson, who died on February 23, 2011. I had the pleasure of meeting him when we represented the pro-life perspective at a panel discussion at Harvard University in 2000. 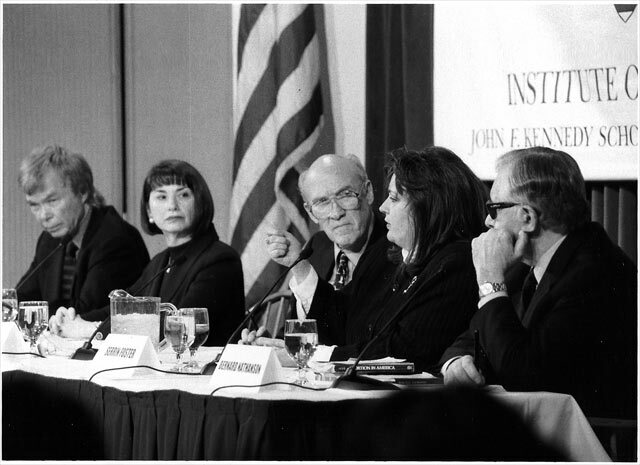 Sen. Alan Simpson moderated the discussion “Abortion: Can We Ever Find Common Ground?” with Bill Baird and then-president of Planned Parenthood Gloria Feldt. Former FFL Board President Rosemary Bottcher also remembers Dr. Bernard Nathanson, the co-founder of the National Association to Repeal Abortion Laws (now NARAL Pro-Choice America). In 1986, both the National Organization for Women and National Right to Life held their conventions in Phoenix. By that time, Nathanson was pro-life. Many have commented on the number of abortions Nathanson performed — 75,000, including his own child — and his participation in the film The Silent Scream. In order to understand how this experiment on women began, you must read and pass on what Nathanson told Rosemary about NARAL’s plan to link abortion to women’s rights.